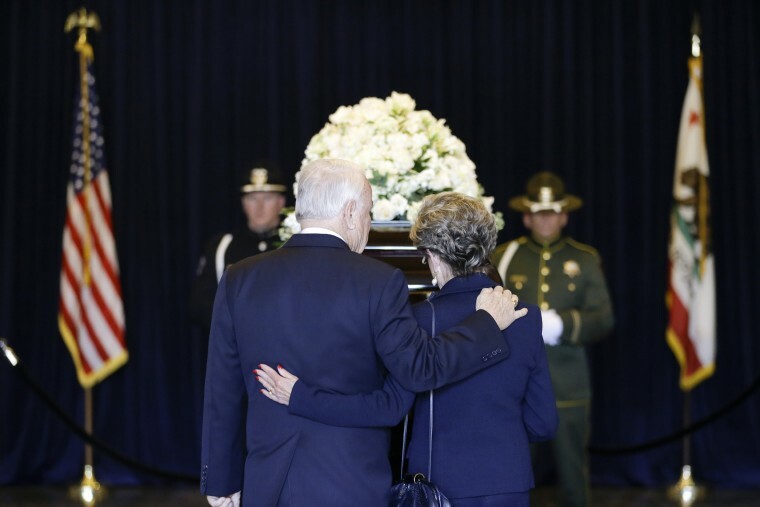 Three days of formal mourning for Nancy Reagan began Wednesday as her casket was taken in a motorcade for a viewing at the Reagan Library. 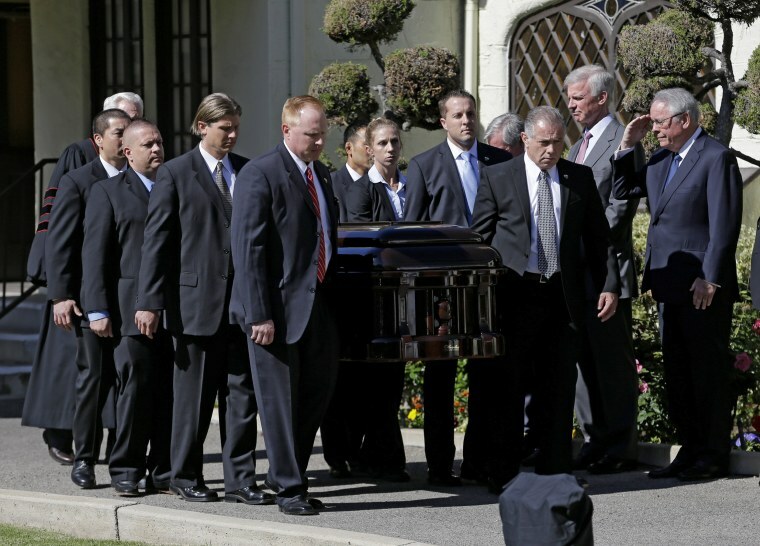 The casket of former first lady Nancy Reagan leaves a small ceremony at a mortuary on March 9, 2016 in Santa Monica, California. 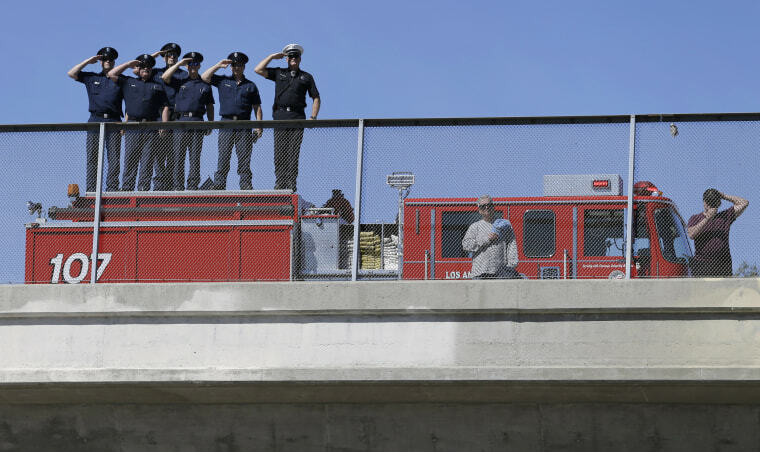 Firefighters salute as the hearse carrying Nancy Reagan's casket makes its way to the Ronald Reagan Presidential Library near Porter Ranch, California. 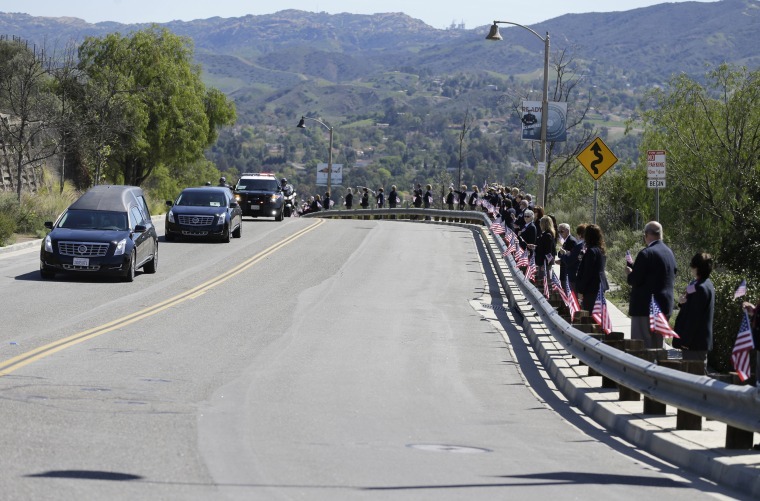 Library volunteers line the road as the hearse arrives at the Ronald Reagan Presidential Library. 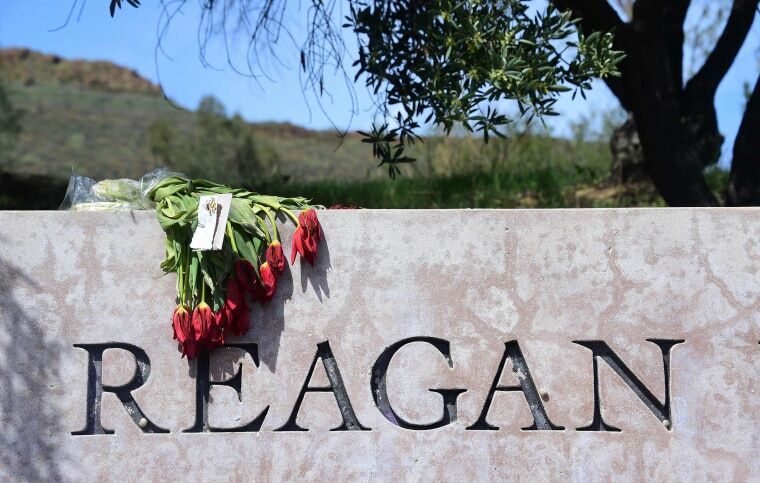 A wilted bouquet of flowers lays a top the sign outside the Ronald Reagan Presidential Library in Simi Valley, California where people pay their respects to the late Nancy Reagan. 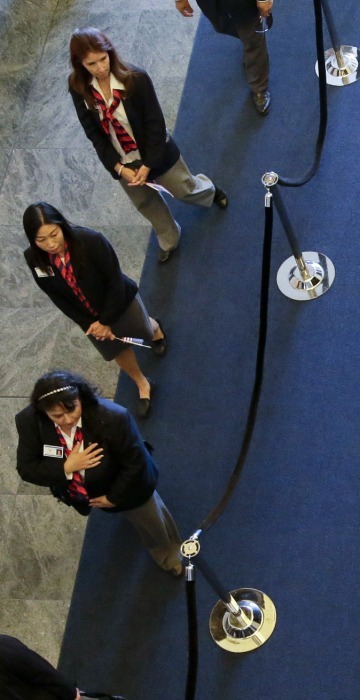 Library volunteers pause as they pay their respects beside the casket of Nancy Reagan. 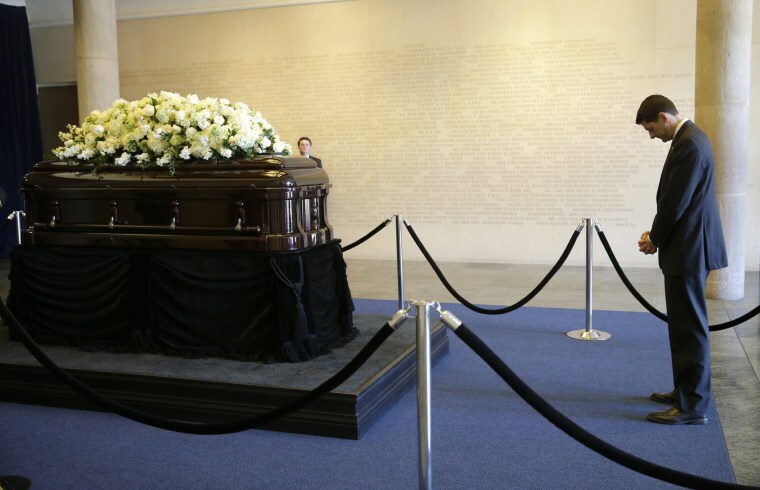 House Speaker Paul Ryan stands near the casket of Nancy Reagan. 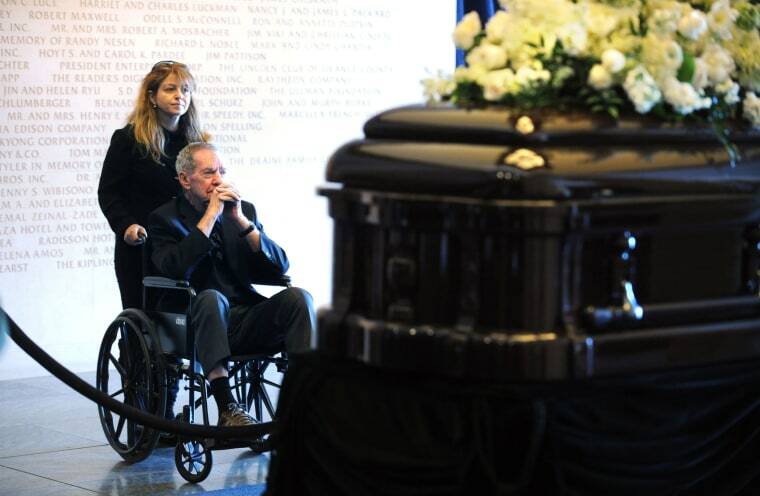 A couple pause as they pay their respects beside the casket of Nancy Reagan. 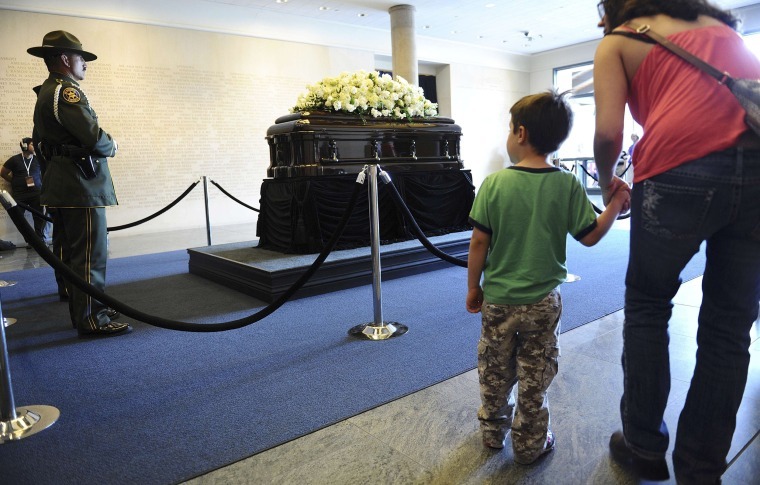 A boy pauses in front of the casket of Nancy Reagan as she lies in repose at the Reagan Presidential Library. People pay their respects to Nancy Reagan at the Reagan Presidential Library. March 11 will be the funeral, which was planned down to the smallest details by the former first lady herself. 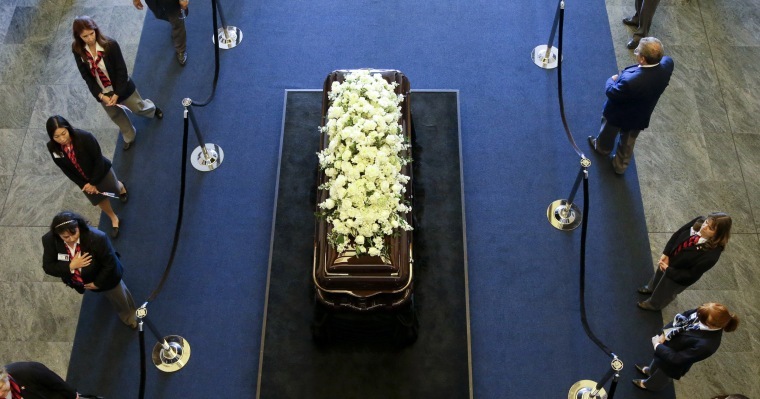 Just as she was always by his side in life, Nancy Reagan will be laid to rest just inches from her husband on a hillside tomb facing west toward the Pacific Ocean.